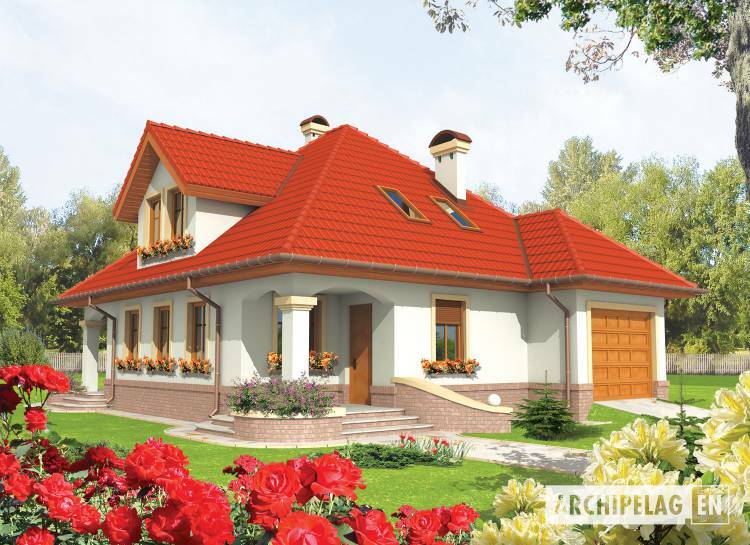 A bungalow with functional attic, without basement, with garage, for 3-5 person family. Entry to the house is situated in an idyllic arcade, leads to a spacious interior vestibule. Ground floor is a daily area, which includes kitchen, dining room and living room with diagonal exit in arcade to the garden. Fireplace is designed in a central location. It is possible to box off a room (or cabinet) with entry under stairway, or aggrandize on the living room area. In the attic are three bedrooms and a spacious bathroom. A building was designed in bricks technology with suspended beam and block floor. 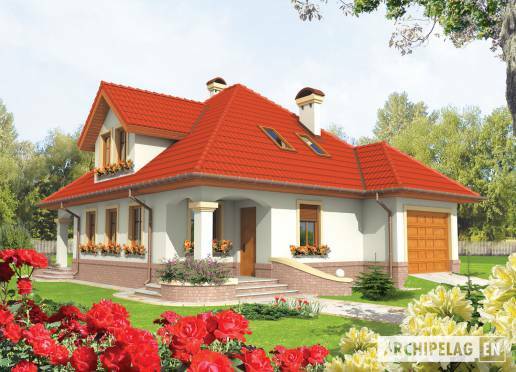 A roof of wooden structure tiled cement or ceramic. Facade is made of structural plaster. Internal wooden stairs. Woodwork windows.